Renovated Large 1BR condo with resort-like amenities and over 300 days of sun! You’ve found your perfect Arizona home away from home! This large 1 bedroom condo has it all- Luxurious resort-like setting with two amazing pools, awesome clubhouse with helpful concierge and in-house chef, a well-equipped fitness center and a fabulous North Scottsdale location. Whether you want to explore the beautiful Sonoran desert, take in the sights and sounds of Scottsdale, or just relax at a five-star resort, this condominium has it all! New for 2019 - new king size bedroom set and all new stainless steel kitchen appliances! The condo is located on the ground floor and has no stairs and is just steps away from the main pool and clubhouse. It includes one reserved covered parking space and plenty of guest parking spots nearby. Residents and guests are the perfect mix of snowbirds and professionals. All amenities are included- utilities, air conditioning, heat, fully equipped kitchen with granite counter tops, dishes, cookware, dishes, utensils, glasses, toaster, blender and much more. The dining area has a large rectangular table with seating for four. The living room is tastefully decorated with a leather sofa and a reading chair and large LCD TV with HBO, Starz and free wireless internet connection. There is also a desk area with WiFi and printer if you need to get some work done. The bedroom offers a comfortable queen size bed, expansive walk-in closet and a door leading to your own private patio. We are longtime VRBO renters and now we are excited to share our recently renovated Scottsdale condo with you! Patricia and I live full-time along the ocean just south of Boston, Massachusetts. We consider Arizona our "second-home" as we love the beautiful scenery and amazing weather of the Sonoran desert. We love to visit family in Arizona with our teenage daughter whenever we get the chance! We have been Scottsdale visitors for the past twenty-five years. We love the beautiful Sonoran desert and sunshine over 300 days per year. The Edge development at Grayhawk is conviently located in the middle of the best of everything. This recently renovated condo has everything a guest could need and is in the perfect North Scottsdale location. Large renovated bathroom with granite countertops and newer towels. The Edge is a luxury resort-like condominium community in prestigious North Scottsdale with two pools, a gym, and a resident chef. Very close to world renowned golf, shopping & restaurants. The complex is very close the McDowell Mountains with beautiful hiking and mountain biking trails. Loved the cute apartment! I stayed here for 3 months for work and absolutely loved this location. Close to the 101 and near various malls and restaurants. Would recommend to friends and family! It was a pleasure hosting you at my Edge condo while you worked on assignment nearby. I hope to have you stay with me again in the future! I had a great stay at the edge! Adrian was a great host he was always just a phone call/ email away whenever you have any questions the apartment was great. The edge ( the complex) is very nice they have an amazing gym. The pool and club house are beautiful. They have a chef that comes I believe 5 nights a week so if you don't want to cook no problem just head to the club house! Thanks for your kind review. We loved having you at our condo and wish you much luck in your next work assignment! 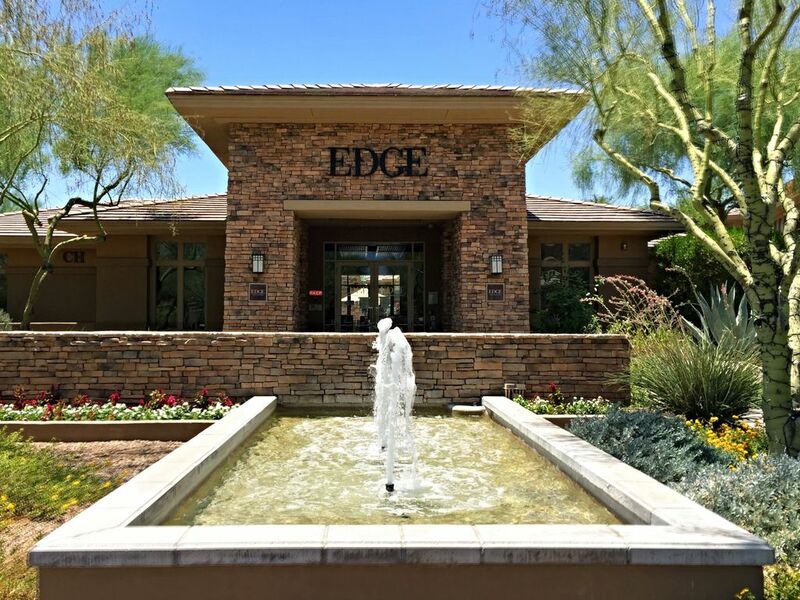 The Edge is a luxury resort-like condominium community in prestigious North Scottsdale with two pools, a gym, and a resident chef. Very close to world renowned golf, hiking, road and mountain biking trails. Surrounded by many excellent restaurants and upscale shopping centers including Kierland Commons, The Scottsdale Quarter, and Scottsdale Fashion Square. Near five supermarkets including Whole Foods and Trader Joes. Also very close to CVS and Walgreens.